Lilly Pultizer Birthday Brunch Recap! I can't believe I delayed this an entire week! 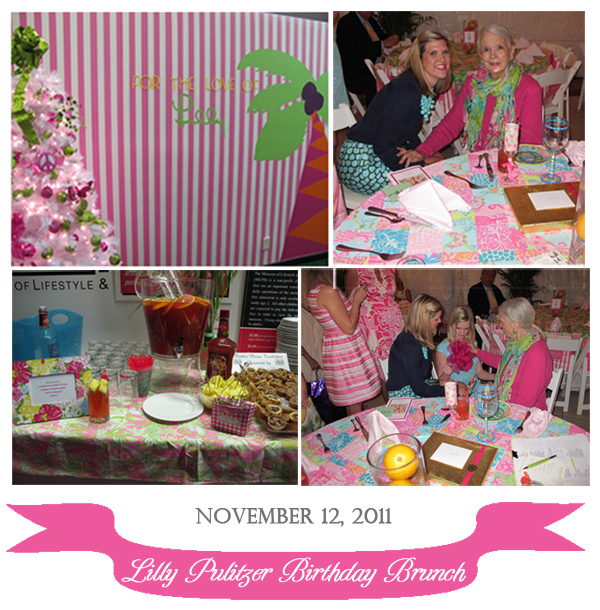 The Lilly birthday brunch was so lovely and the highlight was definitely getting to chat with Lilly Pulitzer herself! She was the most gracious, sweet and funny lady--and she loved mine and ABQ's outfits, specifically our show-stopping accessories! There was yummy food...a midday cocktail and a really fun and interesting exhibit featuring Lilly throughout the years (I swooned over vintage Lilly...if only I could get my hands a few of those pieces!). It was such a great experience that I will treasure for quite some time--is that me and Lilly below looking like besties?? Pinch me! How lucky are you!?! Lilly is so cute still! oh my gosh, looks like so much fun! lucky you! Oh my word! I bet that was a blast, thanks for posting the pictures, love it!! SUPER DUPER FUN! You look fab-- and so does LILLY! Amazing.